If you have suffered injuries in an accident involving a large commercial vehicle like a big rig, semi truck, bus, or delivery van, our hearts truly go out to you. Our experienced team of professionals are ready to help you and your loved ones get the justice and compensation you deserve. 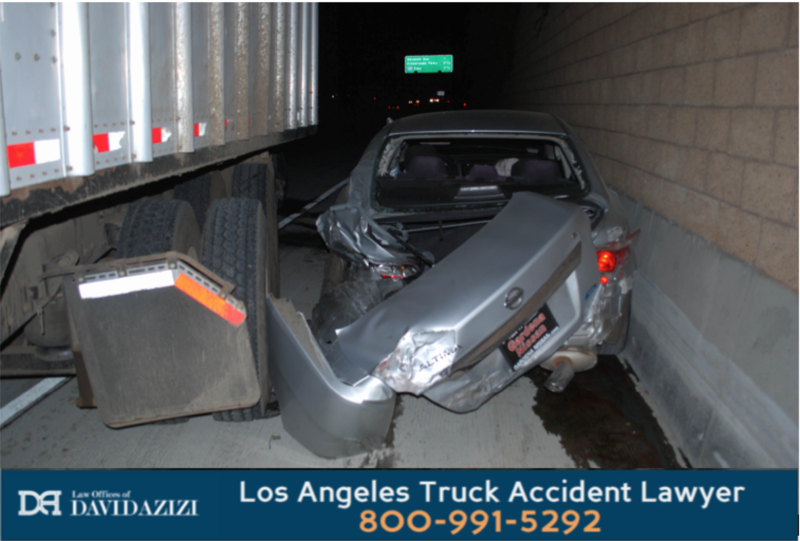 Any serious auto accident is traumatic, yet crashes involving these large commercial vehicles are often more so. A fully loaded 18 wheeler (also called a tractor-trailer), extending up to 80 feet in length and weighing up to 40 tons, can cause mayhem and uproot daily life. 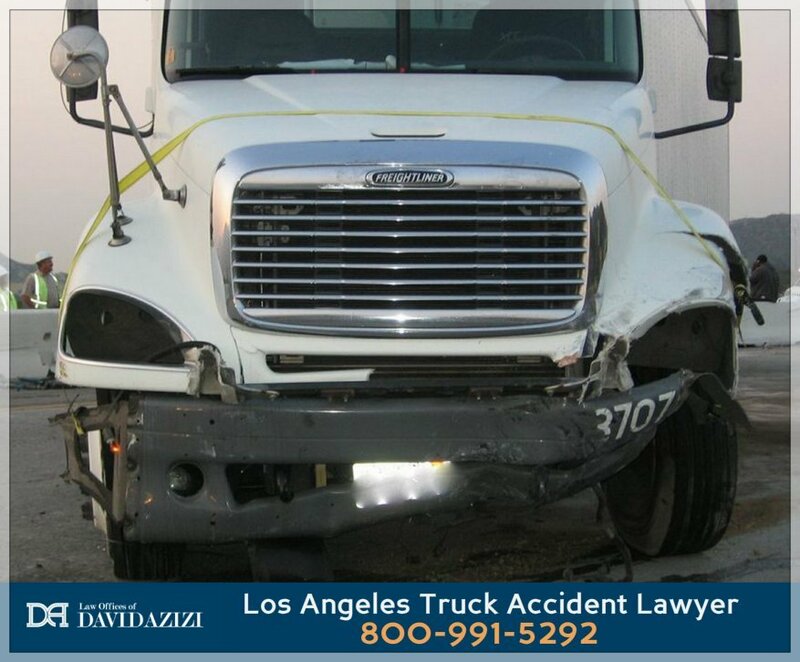 For 21 years, Los Angeles-area commercial vehicle crash victims have called upon lawyer David Azizi to represent them in these truck, bus and commercial crash cases. With a solid 98 percent success rate in winning financial compensation from the parties responsible for their injuries, our law firm knows how to take on the big truck and bus companies. Many different kinds of vehicles can be classified as a commercial vehicle. Drivers of these vehicles normally require an additional commercial driver license and the law holds them to an additional high duty of care because of the nature of these large and potentially dangerous vehicles. Don’t see the vehicle that hit you on the list? Don’t worry, our truck and bus crash law firm handles them all! Knowing your next steps after an accident with a large commercial vehicle or truck. Commercial vehicle accident attorney David Azizi answers the most commonly submitted truck and commercial vehicle crash questions in this podcast episode. Play the episode below. We absolutely recognize the huge priority of having access to reliable transportation. The loss of use of your automobile is a big deal. The commercial vehicle crash legal team David leads recognizes that accidents with commercial vehicles and trucks often leave a car undrivable, requiring extensive repairs, and in many cases, equaling a total loss calling for a vehicle replacement. Personal property inside the vehicle sometimes gets destroyed as well. In seeking damages from the trucking and commercial vehicle companies we always keep in mind the status of your personal vehicle. Our team will assist in determining the value of your vehicle when replacement becomes a necessity. Most folks in California cannot function without transportation. We fight to make sure our clients have access to a rental vehicle until a suitable replacement for your automobile can become a reality. Car rental expenses, which can add up quickly, will be included in the final amount we demand for you. Serious injuries nearly always mean missing work. If you’ve had to miss work after an accident with a commercial bus, big rig, or truck, we have a path forward for you. The commercial vehicle accident claim we pursue for you includes lost income and wages, whether you are a traditional employee or are self-employed. We always pursue what California law allows for: the recovery of wages and income lost as a result of someone else’s negligence. In the video below, David’s client’s SUV was hit from behind by an 18-wheeler. The collision was even more serious because the force of the truck pushed the SUV into another tractor trailer in front of it, crushing the vehicle between the two semi trucks. Settlement award amounts vary based on the unique circumstances of each case. The commercial vehicle crash injury calculator can give you a preliminary estimate of what compensation for your claim might look like. To dive into the specific details of your unique accident claim, call us 24/7 at 800-991-5292 to begin a free case review directly with David. A subpoena for the data from EOBRs (Electronic On-board Recorders), made by Qualcomm and other companies. Similar to airplane “black boxes,” EOBRs record a variety of readings related to driver and vehicle performance. Gaining access to these can provide very compelling support for your claim. You could go it alone in these cases, but knowing how the civil litigation process works in California truck and commercial vehicle cases will be essential to success. In the video below, David gives his perspective on the advantages of working with a lawyer who knows the tactics used by big rig and bus companies, and how he can help get you the result you deserve. Who Is At Fault After a Crash With a Commercial Vehicle? Winning compensation in a truck or bus case requires uncovering who holds responsibility so that fault can be appropriately and legally assigned. In many cases we see, the driver of the commercial vehicle (and the bus or truck company) holds full responsibility for the crash and your injuries. When you’ve been in an accident and it’s not your fault, we will gather evidence to establish the trucker’s liability and will calculate the amount of compensation owed to you. What If The Accident Was Partially My Own Fault? California follows “Pure Comparative Negligence” laws. This means that if it’s determined by a judge or jury that you partly caused the accident, you can still pursue a legal claim, and when your case reaches a conclusion, the award of compensation will be reduced by the percentage you were at fault. If you were hit by a bus and the total damages awarded to you equal $1,000,000 but you were also five percent at fault, you’d receive $950,000 (the full award minus five percent ($50K) for your partial fault). Please note that these commercial vehicle lawsuits can involves millions of dollars. Even if you think you hold some responsibility for the crash and your injuries, if you share the blame with the trucker or bus driver, you still have a strong incentive and possibility of making a significant financial recovery. The medical attention you need after an accident with a big rig, bus, or delivery truck is always the very top priority. It’s a lot to consider also taking on legal action against a huge 18 wheeler trucking company or an organization that puts out a huge fleet of public buses. Our team helps victims gather all essential medical records and we will press you to attend every scheduled doctor visit. This is for your own legal protection so that the big companies companies representing bus and truck drivers can never say, “but they didn’t go to their appointments,” and somehow suggest you are not really that injured. Send The Letter of Representation – This alerts the bus and trucking companies that a legal dispute exists, that you have been injured and are claiming their driver is liable (responsible) for the crash. We send it on our letterhead, showing them that you now have an experienced lawyer now handling your legal affairs. Filing An Official Complaint – The “complaint” is the very first move that legally opens your case. We will draft and submit this to the court clerk and deliver it to the commercial vehicle driver and company. They now know, “we mean business.” The legal complaint document will outline the evidence we have, an explanation of your injuries, we will claim that they have should admit liability and we will make a demand for justice and financial compensation (called “damages”). Reviewing An Answer From The Driver and Company – Once we submit our complaint to start the case, the defense will respond, giving an official “answer” to the claims of wrongdoing. If they admit liability and accept your demand to be compensated, we’ll negotiate these final details for an out of court settlement. Pursuing the lawsuit to trial against the commercial vehicle driver and company – It’s very common in large cases for the the driver and company to deny liability and refuse to pay fair compensation. 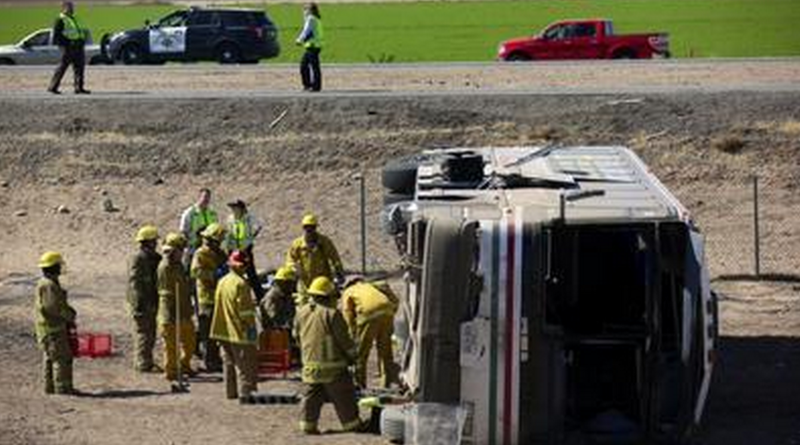 A solid bus and truck accident lawyer is always ready for this scenario. If this becomes the reality, we will litigate the claim and proceed to trial by jury or judge to recover the fair compensation for the injury sustained. During trial David and his team will litigate your case: presenting evidence about your wreck before a judge and jury to make a decision about the dispute. Once we file the lawsuit, it’s not uncommon for the trucking companies to decide they are ready for a settlement rather than a court battle. We’ll discuss our options with you, and when a settlement offer is fair and restores justice and provides appropriate compensation, the case will come to a conclusion and you will get your financial recovery for the crash and your injuries. But when an offer is not fair, or if a settlement is not offered, we are ready to fight. It’s what we have trained to do and how we’ve been winning cases since 1998. The Law Offices David Azizi stake their reputation on winning these big truck and commercial vehicle cases. With a 98 percent winning track record, we work on a contingency fee basis. That’s the very popular “No win, no fee” model for reputable personal injury law firms that gives access all injured victims, regardless of their financial situation. We will fund all of the costs involved in your case, and when we win your settlement or verdict, we only collect a percentage of those winnings as our fee. If we do not win, you owe us nothing. That’s a huge incentive for us to get the best possible result for injured victims. Our own livelihood is on the line and we will use our expertise and experience to win your case. The large legal services corporation Avvo continues to give David a “Superb”rating and Expertise.com lists him on their Top 20 Personal Injury Lawyers in Los Angeles. Super Lawyers has also recognized our offices as a top L.A.-area law firm for the sixth time. There is a time clock that can run out on these cases. It’s known as the statute of limitations and it’s the deadline to file your claim of wrongdoing in court. We realize that “do not delay” is a popular advertising slogan. In law, it’s your call to action so that you do not miss out on the compensation you deserve. We need to hear your next step so together we can determine your strongest move forward. We urge you to call us at 800-991-5292 without delay to begin with a simple but thorough free case review. Our investigation team will head out to the accident scene to gather the evidence to prove your case. Since 1998, David Azizi — himself married with a family of three children — has stood up for injured victims throughout California. If you are ready to begin your journey toward justice and and financial recovery, David and the commercial vehicle crash team are ready to become your advocate. Call or chat with us today. We want to see you and your loved ones get the justice and payout you deserve.